The penetration of mobile apps in our lives is huge. It’s hard to imagine our life’s without an app now. Plethoras of apps are available for varied purposes, ranging from reminders, exercise, food, work, business, news and so on. We are surrounded with millions of apps. Due to its immense popularity, mobile apps have left hardly any industry untouched. With the growing competition, mobile apps companies are trying to impress its users’ with great UI (User interface) and UX (user experience). But, the problem is that there are simply too many apps in the market. Its number is nearer to 700,000. But don’t worry; you don’t have to dive into this well. I have picked top 5 mobile apps, based on my research, which you can’t afford to miss. These are undoubtedly claimed as “best” globally. Facebook is one of the most popular apps in the world of social media. A survey revealed that Facebook encompasses 1.8 million monthly active users globally. With each year Facebook users’ number is rapidly increasing and dominates the social media. Facebook ranked top in many other ranking lists, due to the growing popularity of its messenger and Instagram. Google Search– It’s perhaps no surprise that Google still dominates among search engines’. The Google search app is the most trusted apps among users’ to resolve their query. The company provides its services to millions of people globally. Google’s various other apps are also popular among users. YouTube is effectively ruling the market for videos. The popularity of videos is undeniable and its users are always high in number. YouTube is home to infinity videos with just one click. YouTube is continuously expanding its horizons and leaving no chance to impress its users. Google Maps are one of the most downloaded apps for navigating. Google is continuously expanding its horizon and incorporating various exclusive features. Some of these are turn by turn direction, voice instructions, live traffic information, offline maps to search and street view. Google app’s features are well integrated for both native and hybrid mobiles. Skype app has successfully engaged a large chunk of the audience for video calling. Despite the arrival of other apps like Viber and WeChat, Skype has managed to hook its users with its latest features. However, the users of Skype have increased enormously, with the arrival of 3G/ 4G. The app is loaded with entertainment and devices divisions and successful dominates a leading position in the market. 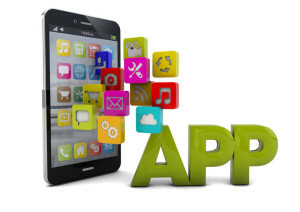 Mobile apps undoubtedly emerge as a powerful tool for users’. A hassle-free app with greater UI and UX never disappoints its users’. Thus, mobile app companies are continuously modifying and updating their apps. But due to immense competition, they often lack something or the other. However, the above 5 apps are regarded as the best app across globe and are in tune with the latest technology. I have spent hours searching the best apps for varied niches and they leave no chance to impress its users. These are extremely useful for any Web development company.